Vases improve the interior decor of any home vastly. With the Ripple Wooden Tall Vase, Brown from Nilkamal, you, too can beautify your home quite easily. 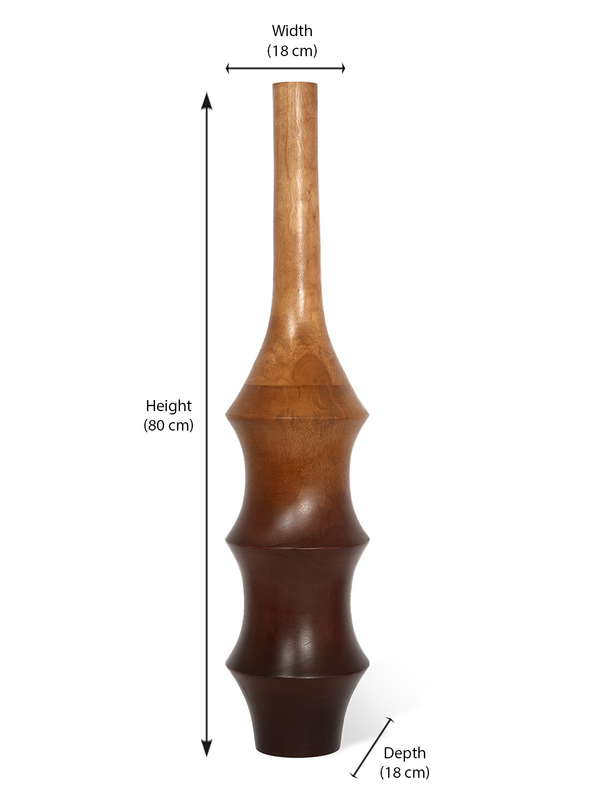 The Ripple Wooden Tall Vase, Brown measures 18 cm in width, 18 cm in depth, and 80 cm in height. The vase is made completely from wood. The quality of the wood which has been used in the making of this vase is superior, strong and durable. The vase is simply amazing in its design. The opening of the Ripple Wooden Tall Vase is a bit narrow but the base is strong enough. The Ripple Wooden Tall Vase, Brown package contains one vase. The Ripple Wooden Vase comes in multi-toned brown color. The bottom of the vase is in the darkest shade of brown and the color lightens as it comes to the top. The minimalistic design of the vase looks elegant and sophisticated. The Ripple Wooden Tall Vase in Brown will make a great addition to your home as a corner piece on the living room floor or in the corridor or on the stairs. This vase can be used as a stand-alone item or you can decorate it with flowers, too. Buy the Ripple Wooden Tall Vase, Brown @home.